Support program for TapCIS access to Compuserve. Sorts and ages messages and adds navigation flags. please do not use these programs. TAPCIS(tm) is a trademark of OMNI Information Resources, Inc. 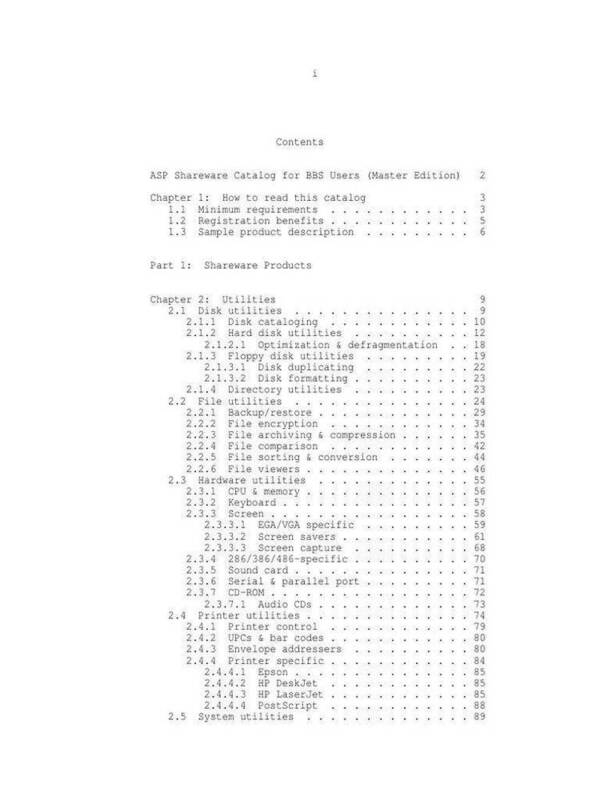 Program and Documentation Copyright (C) 1990 GRIMS Associates. transmitted except as provided by the license above. keep it on your computer. section of the CompuServe TAPCIS forum. cryptically answered a question posed earlier in the thread? file that must be manually trimmed to conserve space. from filling up out of control. sessions are used to gather these replies. had downloaded the entire message base. in a certain amount of time. as part of your "in box" until you release them. before you view the messages off-line with TAPCIS. proper locations in pre-existing threads in the message files. that you have not already read a message. messages directed to you by searching for this special marker. familiarize yourself with any other messages in the thread. the search string with F2. by editing this file directly. messages as TAPORDER becomes synchronized with TAPCIS. using TAPORDER in your daily TAPCIS environment. activated or deactivated by a command line option. some commonly used command line definitions. full name and extension of the file to be processed. Precede the name with one or two exclamation points ("!" A forum or file name may include wildcard characters "*"
either case. If none is specified, ".MSG" is the default. A configuration file is created the first time TAPORDER is run. of all options which you define. information is entitled "[TapOrder registration]". defaults that exist in the TAPORDER.INI file. filename]" can be used in an "[Option optionname]" paragraph. control the overall operation of TAPORDER. files specified on the command line have been processed. might be curious, or who would experiment anyway. TAPORDER.INI file that existed with a previous version. that last ran against the file. TAPORDER is in its free trial period. described in the TAPORDER.INI introduction. the command line are processed. overrides those with any command line options specified. end of processing after each file. changed, processing of the file is skipped. special option is included in it: "Use higher level=". the paragraph except for the last processing date. control its use from the command line. being used for a specific file. marked with the "[***]" marker. immediately if they're not new and unread. deleted and a new set take their place. subject to the normal aging going on in the file. even when they're new and unread. information about replies to be included in the message. of each reply to the message to be included. "Navigate"
can be used to go directly to each reply. "Describe"
author and date/time at some future date. Specify whether messages marked as new with the "[***]"
entirely. See also: "Message age=" and "Thread age="
message file to always be saved with the ".BAK"
first by Subject name, then by message age. file to be sorted first by Section, then by Message age. will be aged in accordance with the "Save aged=" option. to protect important files from inadvertent processing. you want to use this value, place another "#". file, then override any previously defined "Message age="
option at set the message aging at 5 days. A sample TAPORDER.INI file is included with this distribution. now exist in your existing TAPORDER.INI file! that meet your needs for the other forums you visit. TSR's and simplifying the hot-key access to their functions. installed in a window, TOTSR is active only for that window. within TAPCIS. The default hotkey is ALT-Q. features, which is the default. Parameters may be specified in upper or lower case. the program with the desired changes on the command line. TOTSR will print the new settings for TOTSR operation. diagnose what you did wrong. if it detects you are at the DOS prompt. automated and requires no intervention on your part. performing any operations with TOTSR. first popped onto the screen. "N" option (the default) had been chosen. against that forum. This is the default. A Age the message or thread at the next TAPORDER run. at the next TAPORDER run. bypassed during its next run. perform certain operations against messages or threads. also expected in this directory. TAPORDER.INI applicable to the forum(s) involved. Associates, P.K. Larsen, at [73417,3603]. Enhancement requests are always welcome, too. the software from your computer once the trial period is over. you of their availability by Electronic MAIL on CompuServe. registration number in your copy of the program. copy of the documentation, with right to copy. purchase price can be applied towards a site license. * Removed credit card registration options.